This imposing three-story building was characterized by Baroque decorations that were removed during a restoration of the early 20th century. The main door leads to the entrance hall where eight marble columns hold up the ceiling squares, from here we go into a yard surrounded by buildings and by a large garden. The Cavalli family, amongst the noblest in Romagna since 1227 bought the building from the count Vincenzo Cappi in 1806. 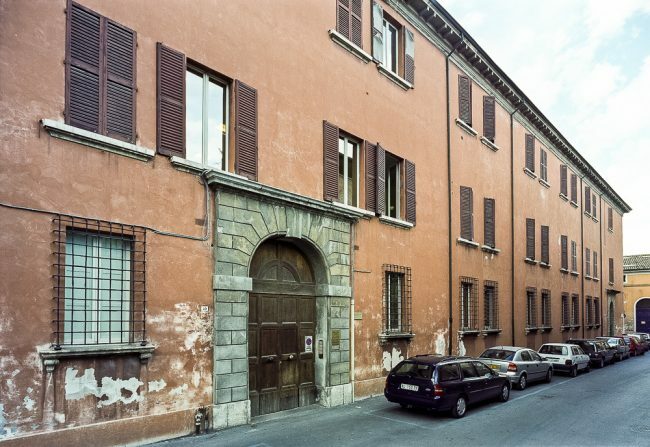 Previously the building had been property of the Mula and then the Dal Corno families. A plate attests that Giacomo Leopardi was guested in this building.